The virtual Gardenart family grows ! 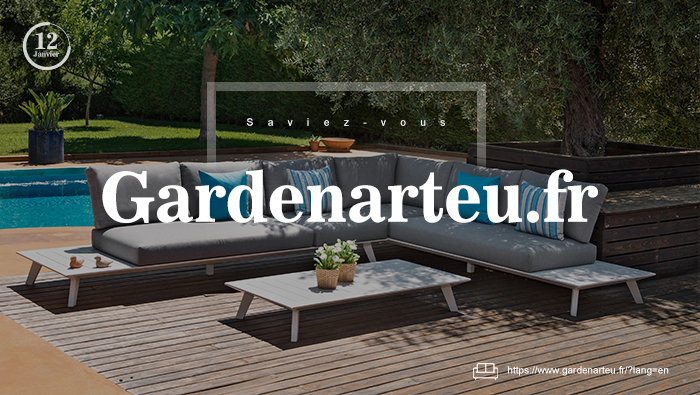 Indeed we’ve just launched our website exclusively in french : Gardenarteu.fr . Actually you can find our luxurious garden furniture in eleven retailers in France. From Paris to Toulouse, Lyon or Narbonne, our french customers are growing and they reclaimed and deserved their own website to admire our daybeds or our outdoor chaise longues, surf through our modern collections of nordic style outdoor furniture. In our brand new french website we can find the Gardenart style : pure lines, elegant and nordic inspiration. Open spaces with elegant decoration. Patios where you can chill and disconnect. Places where you can build family memories that will last forever. Lovely meeting-places where you can reunite with good friends and spend good moments. 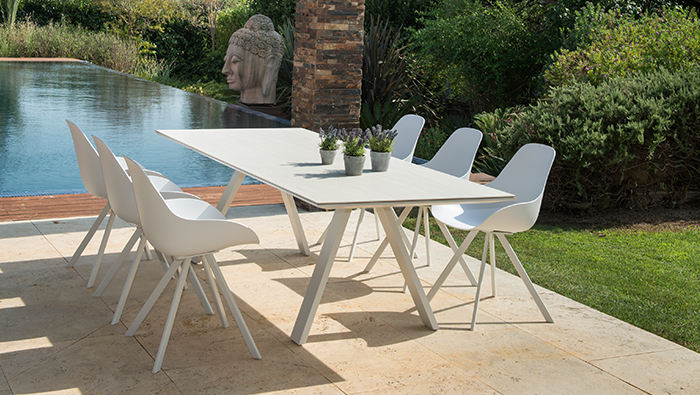 Exclusive garden furniture that you won’t find at every home. French customers will be able to check in gardenarteu.fr our regular furniture collections and our hot sales. Like the Xhantus folding deck chair who supports all kind of harsh weather conditions. Aluminium frame and tear-proof resistance makes it the perfect and durable chair to put by the pool or in your balcony. Or the Belluno Sofa Fabric Set. Differents seats makes it adjustable to every costumer needs. You can shape it to your needs and make it fit in any terrace or deck. They could discover too our newest furniture collections and get to know every novelty. Like our new dinning set Spade :round shaped sofas and chairs that you can choose either in aluminium or rope. 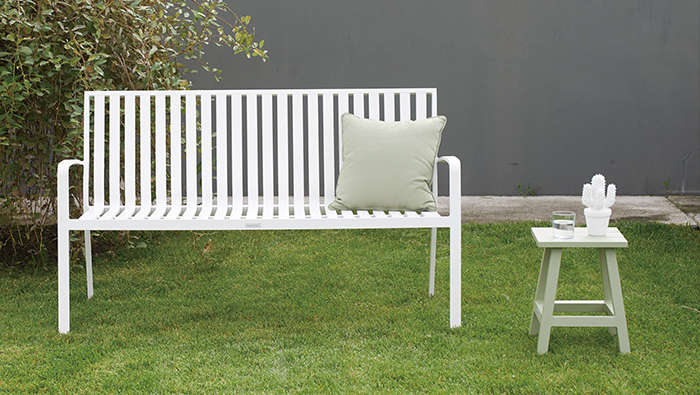 Or the big and elegant outdoor sofa belonging to the new collection Neverland. It comes in two or three seats to choose and it has an integrated table. It will automatically elevate the standing of any place. Gardenart Blog : a whole outdor lifestyle. Wait, not only french people is going to enjoy an exclusive website in gardenarteu.fr. Gardenart blog takes a new turn for every single language on our web with our blog. French, yes, but also english. You can find the english and spanish blog versions in the main and international website. This will be a whole package. Meaning we’re not only keep you informed about any news concerning Gardenart and our outdoor furniture, but will also providing you with lot of tips to enjoy a rich outdoor lifestyle and take joy of your garden. We will visit wonderful and spectacular houses across the world and we will adapt the styles with the Gardenart luxurious furniture. We will make décor hacks by getting inside our outdoor furniture. We will try new recipes and BBQ’s to enjoy with friends, popsicles recipes to make with the littles ones, pool games and other nice activities to make outdoors and enjoy a nice lifestyle. Just stay tunned !